There are several cloud companies which gives free cloud services to their users up to a certain limit. Most of these free cloud service providers want users to try their service in hopes that they will pay more if their requirement exceeds. In my earlier post I have written about Paragon Hard Disk Manager for Windows Discount Coupon. In this post I will list 14 best free Cloud Service Providers for Backup in 2018. Let me warn you about one important thing which you should know about these free cloud services providers before we present you with our list. The market of free cloud service providers is vast and very much unpredictable and you can't expect the same offer with one vendor for a longer time because they keep on changing offers due to huge competition in the market. So better we caution you that you use the right service at the right time. Apple iCloud Drive is an amazing free cloud service providers which gives 5 GB of free iCloud storage. But if you have huge collection of photos, videos or documents then you can easily upgrade for a better plan starting at $0.99 per month of 50 GB of Storage. Also read What is IAAS in Cloud Computing. 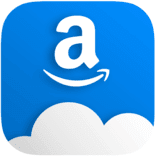 Amazon Drive is an oldest and the most trusted company of Amazon. It is another great free cloud service providers of the world which gives 5 GB of free Cloud storage. It offers secure cloud storage for your photos, videos documents and all other important files. All your documents are safe with Amazon drive. Box has several plans, but I basically like the single user free plan which comes up with 10 GB of free cloud storage with file upload limit of 250 MB. They also have a Pro plan which costs $10 per month for 100 GB. If you want extra space you can take up a Pro plan. 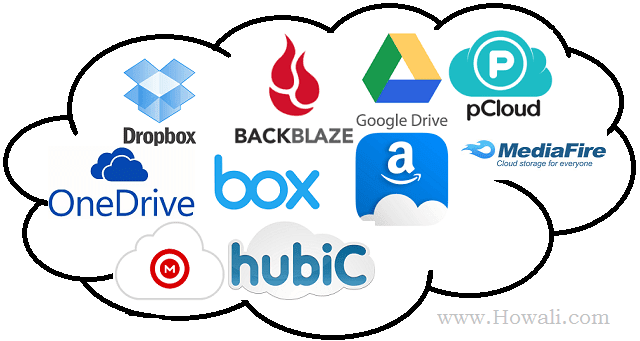 Dropbox is very popular and oldest cloud service provider in the market. It is one of the best free cloud service provider. It provides free cloud storage of 2 GB. But if you have more requirement then there are other plans also which give 1 TB of space in $9.99 per month. You will get 15 GB of free Cloud storage with Google Drive. If your requirement exceeds you can take 100 GB plan at $1.99 per month. It is one of the most trusted source for free cloud storage and everyone is quite familiar with it. You will get 50 GB of free Cloud storage with New Zealand's amazing free Cloud Service providers called Mega. If your requirement exceeds more than 50 GB then you can get 200 GB of storage only at 4.99 € per month. Microsoft OneDrive another most trusted free Cloud Service providers which gives 5 GB of free storage space. But if you are looking for more space, then you can get 50 GB space at $1.99/month. 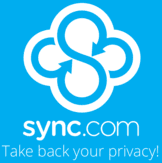 Sync.com is another free cloud service providers which gives free 5 GB storage on Sync Start plan. But if you have more requirement then you can get a Personal Pro plan which gives 500 GB or 2 TB of Unlimited Data Transfer and storage only at $49 per year. Sync also has business plans starting at $5 per month per user which is billed on yearly basis. Blackblaze is a robust free cloud service providers which gives 10 GB of free cloud storage space. But the download limit is set to 1 GB per day. You can't use more than 1 GB per day in the free plan. However you can get additional of $0.005 per GB/per month. FlipDrive is another great free cloud service providers. You can get 10 GB of free storage in the Basic plan. However if you need more space then you can get the personal plan 25 GB starting at $5 per month. You can share your files and folders in this plan, set folder permissions, direct your links to files, etc. Hubic offers amazing 25GB free storage which is maximum when we compare with other free cloud service providers. If you require extra space you can get 100 GB plan for €1 per month. You can access Hubic space with a simple internet browser. You will get applications for smartphones and tablets - iPhone, iPad, Windows Phone 8 and Android. pCloud is another free cloud service providers where you can store, share and work on all your files. You can preview your photos and save your important data files using pCloud. You can get up to 20 GB of free storage. You can get 500 GB of extra storage at $3.99 per month. Your files are safe and secure with Yandex.Disk. You can upload your files to Yandex Disk. It is one of the best free cloud service of popular Russian search engine Yandex. You will get 10 GB extra space at $1 per month. You might also like to get Manycam 30% Promo Coupon. Mediafire is another free cloud service provider which gives 10 GB of free Space with unlimited sharing and unlimited ad supported downloading. However if your requirement is more, then you can get a Pro plan for $3.75 per month. This will give you 1 TB of storage space with a maximum limit of 20 GB per file. So here I have given the list of 14 best and free Cloud Service Providers in the world. Do let me know through comments how this post has helped you in choosing your favorite free cloud service provider.